I had thought that getting ducts cleaned would be a simple less than $99 deal I found through the Value coupons I receive in the email. Upon checking, I found that most don't have a truck that pulls the dirt out, they push the dirt around and don't do all the various ducts. I called around to get quotes and found other people quoting, (to do it correctly), would cost $380-480. Three different companies, who didn't do it, recommended Sterling Environmental. I called Sterling Environmental. He came a little late, but not too late. We bartered about the price, and came up with $280. He showed me exactly what he would do, how long it would take, and what to expect. Job well done. The owner came out to my condo and did a excellent job cleaning my air ducts. Clean up and made sure everything was put back in place. 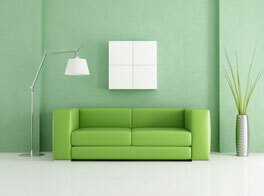 I would recommend Sterling Environmental Air Duct Cleaning to my friends and family. Great company, owner does the work and it shows in the overall job quality. And you pay a very fair price for a great job. The Owner himself comes out to clean your ducts. He is very efficient. He shows you everything that he is going to do. During the process he has you come listen to all the debris that is coming from your ducts. He is friendly, and respectful of your home. He put a tarp down on the floor to keep from walking on the rug with his shoes, he put plastic on my desk and computer, to keep the dust off and he swept up after he was done. The whole process took about 3 hours. I feel that he was very thorough. I will recommend him to anyone who needs there ducts cleaned. 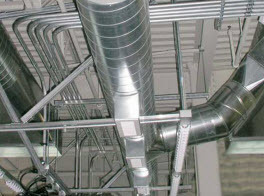 We were uncertain as to the benefits of duct cleaning and were very glad that we found Sterling Environmental. They were very honest, worked all day, showed us why they were doing what they did, and pulled out trash cans full of plaster, dust, mouse droppings, toys, and all kinds of debris. David was great! His attention to detail made my ducts look great and his prices are fantastic. I recommend Sterling Environmental to anyone who needs professional, thorough duct cleaning services. Extremely thorough and reasonably priced. very neat. Cleaned up any dust that was left (which was minimal). Cleans each register and shows before and after pics. David made our air ducts look brand new again! He was very thorough, professional, and cleaned up after himself. His schedule was flexible enough to work around our busy life, and the price was very reasonable. I recommend David and his company to everyone. I was very pleased with the air duct cleaning service. David explained the process and was thorough, covered our belongings and cleaned up when finished. Pricing was reasonable and same as quoted, no up charges like I've heard some of the other companies do to folks. Highly recommend this service from Sterling Environmental. David is very thorough, courteous, has a flexible schedule and is accommodating! David is very knowledgeable and walks you through the process so you know what is being done! Vents were very dirty, he cleaned them all and even came back and disinfected the ducts! I would highly recommend Sterling duct cleaning! Sterling Environment is the right choice. I suffer from allergies so it was really important that I get this done and done properly before turning on the heating this winter. 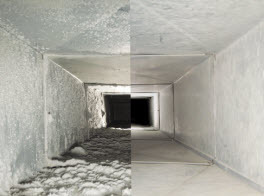 After reviewing and getting quotes from several companies in the area (Ferndale, MI), I chose Sterling Environmental to clean the air ducts in my home. Usually, a choice like that is a careful balance between quality and cost. But not this time. Sterling was the best reviewed and inspired the most confidence when I spoke to them. Yet, they were also 30-40% less expensive than their competitors. One of the reasons I chose Sterling, is because of David, the owner. David takes pride in his work, a rare quality these days. The work is not outsourced to inexperienced crews. No, David comes to do it himself and to supervise every part of the job. He gets his hands dirty (and his hair, clothes and face!). But he makes sure the job is done and done right. My ducts are spotless. 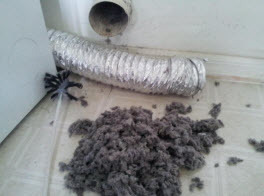 When he arrived, there was an inch deep dirt pile in every duct. When he left, they were clear as if newly installed. I can tell, because I have the best testing system in the world: super-sensitive sinuses. I turned on the fan and didn't get stuffy. David's work is nose-verified. I've already recommended him to friends and family.